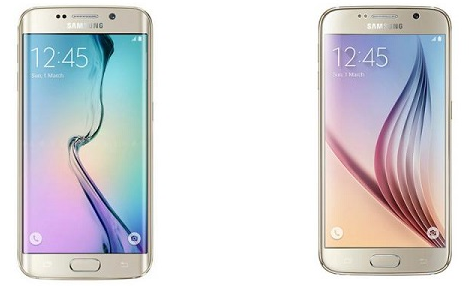 Next is Now for consumers who are looking to get their hands on the new Samsung Galaxy S6 and Galaxy S6 edge. In addition to Samsung Experience Stores (SES) and authorized Samsung dealers who offer the reimagined Galaxy S smartphones, consumers can now experience the crisp 5.1-inch QHD Super AMOLED Display and 16-megapixel camera of the Galaxy S6 and Galaxy S6 edge through MemoXpress’ online store. MemoXpress’ online store not only offers prospective buyers the convenience of online shopping, it also gives them an extended two-year warranty, which they can only get with an online purchase of the Galaxy S6 and Galaxy S6 edge from May 15-31, 2015. The MemoXpress online shop provides multiple payment options for the convenience of shoppers. They can choose to pay either through online banking, bank deposit, credit card, BancNet debit card, or cash through over-the-counter payment at LBC branches. The smartphones will be shipped for free nationwide to online shop buyers. The units will be delivered within 1-7 business days from confirmed purchase. Those who purchase the Samsung Galaxy S6 and Galaxy S6 edge through MemoXpress online shop will get a free Samsung Wireless Charger and a free clear cover. They are also guaranteed the same after-sales service and support when purchasing their phones at Samsung Experience and Samsung authorized resellers. A free Samsung consumer training will also be given to MemoXpress online customers from May 15 to June 30, 2015 in selected Samsung Experience Stores. For more details, just visit the Samsung’s official webpage.